In just a few short weeks, the team at Nancy Price Interior Design will be sharing all of the beautiful finds from this summer’s European excursion. The team has been tirelessly sifting through everything from furniture, to paintings to fragments of pieces in order to create a best of the best selection for market goers. The Highpoint Market is unquestionably the world’s largest trade show in the furnishings sector. Twice a year, High Point brings together over 75,000 people looking to sell and purchase home furnishings. Highpoint Market is truly an experience unlike any other. This market acts as a meeting ground for a mighty array of heavyweights and newcomers in the industry. As a vendor, one has the opportunity to meet with a host of potential buyers. But more than that, Highpoint creates a chance to see what your colleagues value in terms of the types of selections that they choose to bring to the market. Attending Highpoint is always a highlight of the year, as it provides an opportunity to meet with new people in the industry and reconnect with your peers. 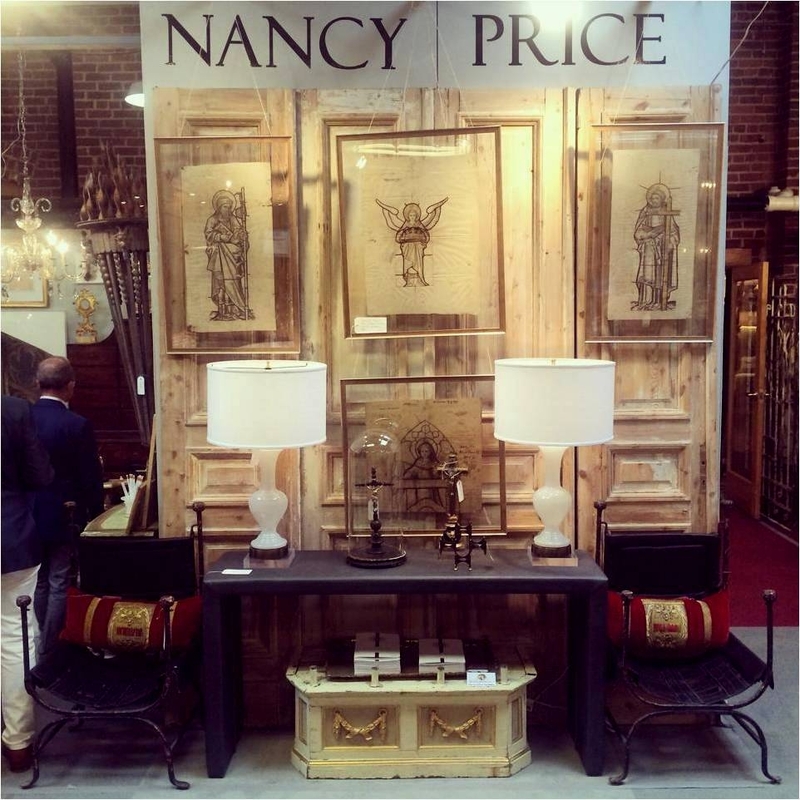 The team at Nancy Price is absolutely ecstatic about all of the amazing finds that they will have ready to share at this immense market. Highpoint Market is located in a central area of North Carolina, roughly 70 miles outside of Charlotte and Raleigh/Durham. Although this location may seem somewhat unexpected, about ten percent of those attending the market reside outside of the US. Furthermore, over one hundred countries are represented at each show – lending a truly global feel to the event itself. Nancy Price and the team at Nancy Price Interior Design have attended this tradeshow for years, and find that participating in Highpoint Market is not only a wise move for cultivating relationships with buyers, but it is a truly inspiring event to see such variety in the types of pieces offered by each vendor. Highpoint market is a breeding ground for creativity, inspiration and new directions. Every showroom is connected by the same electric pulse of excitement shared by vendors and buyers alike. Highpoint Market provides an excellent opportunity for designers and vendors alike to showcase the best of the best that they have found or created over the past few quarters, and NPID couldn’t be more excited to participate in this thrilling event once more.